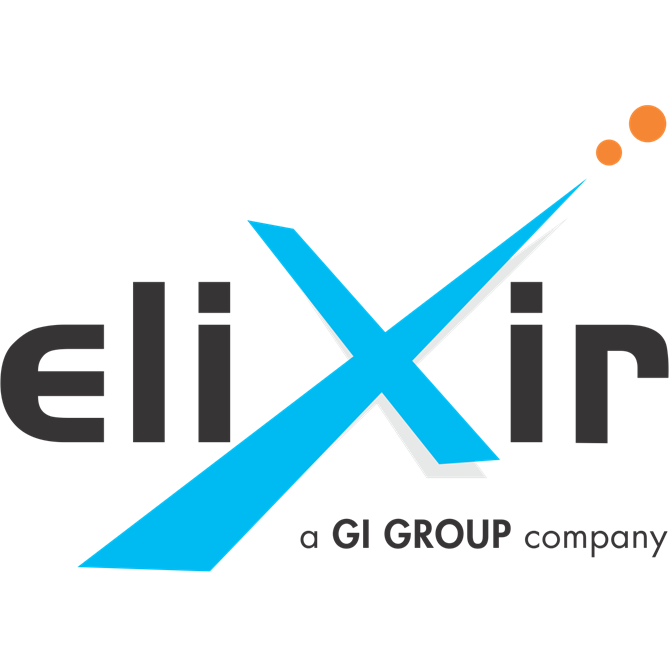 Elixir Consulting is a full service recruitment company, wholly owned by Gi Group – one of the world’s leading companies in the area of human capital solutions, providing services in various domains of talent acquisition. Elixir Consulting represents the Search & Selection and Recruitment Process Outsourcing Services of Gi Group, with clients across India and throughout Asia and Africa. Elixir Consulting specializes in various industries including Automotive, Consulting, Consumer Goods, Education, Financial Services, Hospitality, Infrastructure, Information Technology, ITeS, Life Sciences, Logistics, Manufacturing, Media, Retail, Telecom and Travel. Elixir Consulting was born in the year 2000 as a Search & Selection Business. In 2004, the area of work expanded and multiple verticals were appended. By 2008, multiple branches were opened in the country. By 2012, further expansions took place and Elixir Consulting started a new specialization that is RPO. Elixir Consulting has 18 years of experience in various industry verticals. The refreshed Value Proposition of Elixir Consulting are based on Specialization, Client Orientation, Candidate Management, Customized Solutions and Speed. Specialization: We have a team of qualified and expert people. Our professional recruiters are specialized in customized solutions for different skills and verticals. Our expertise helps us to find the most skilled people in various domains. Client orientation: We Listen and understand the needs of the client. We ask right questions and listen carefully to the answers. We deep dive into the data and analytics to understand our clients’ requirements. We do proper company research, believe in optimal sourcing strategy and focus on dedicated account management structure. We initiate the strategy with analysis of challenges and proper project planning. The solutions will focus on eliminating pain areas of clients’ business. Candidate management: Our strategy targets to build long-lasting partnership with the candidates. We create better work environment for personal as well as professional growth. We support them in their skill enhancement and career growth. We intend to change lives in positive manners. Customized solutions: We either create solutions for our clients’ needs, with Elixir Consulting capabilities of Search and Selection and RPO or support by the other services of the group by Staffing and Executive Search. We have tailor made solutions for all the business needs that helps us achieve quality and satisfaction. Speed: We focus towards speedy delivery and implementation with fixed timelines. We have proactive approach towards the clients’ task status and believe in communicating right status at right time. Our main services comprise of Search & Selection and RPO, although we have customized solutions for each business requirement. Search and Selection is one of our services focused on the attraction of middle and senior level candidates. The process of the selection planned through different phases, provides the satisfactory client experience. The initial step is always to understand the business organization, thorough analysis of the defined requirements, and thus formulating a systematic procedure. The selection meetings and short list presentation is worked upon. We also support the client during the negotiation phase with the pre-selected candidate and follow-up until the hiring. Our recruiters have deep knowledge on the verticals assigned to them and are focussed towards timely delivery and accurate results. Our RPO service team is an extension of the client’s business for which we take full responsibility of the talent acquisition process, making sure that the clients’ existing team only focuses on strategic and main activities. We align our recruitment delivery processes with the clients’ business strategy, thereby eliminating wastage and optimizing resources and processes to deliver the highest level of quality and efficiency. We have expertise in managing the entire life cycle of a recruitment flow. Be it concept or execution, sourcing or reference checks, we are capable of managing it all. We give personalized attention to every client assignment in order to help them saving time, improving quality and managing costs. Our refreshed RPO division will focus on full scope of work and wider market reach. Our focus will be on flexibility, processes, speed and cost effective value added services.